"Sailfish is a great mobile operating system for tinkering with, but isn’t as compatible as Android." 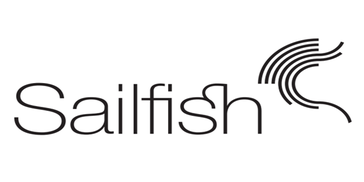 SailfishOS is free and open-source, and greatly resembles Linux. It’s split up in packages and all of the core updates get pushed off via Git. The OS uses a beautiful UI, that’s fluid and fast. It’s great to code for, with a bunch of libraries and tools to even edit the OS itself. The things that make Sailfish great end up being its downfall as well. It’s split into packages, (Android app support being one of them), so you cannot ensure that your end users will have the required configuration that your app or service requires. Its UI is great, but limiting at the same time. It’s not supported and services that require Android as it’s main system (such as some of Google’s developer services) don’t work at all. While Sailfish is a notch above it’s competitors, the open-source Linux-based mobile OS market, it still suffers from the same issues that similar products, like Tizen, those being lack of support in the mainstream market, and lack of an active userbase. Sailfish is good for initial testing of apps or projects that you want to roll out, as it lets you have much more precise control over the app’s behavior, down to the kernel level, but as a platform to deploy on globally, it’s still cut short by the lack of compatibility and the lack of an active userbase. "The improvements that sailfish brings to the independent android operating systems"
This software comes to help the smart phones and tablets jolla, nokia and sony experia, which are compatible with android applications, you have the possibility to work in oda the screen of the device has the multitasking tool and has integrated services. The software must be purchased, in the case of Sony, which will be added to the cost of the phone, that the phone must be released, that it can depend on a line, it can present problems, it is not available at a worldwide level. * We monitor all Sailfish OS reviews to prevent fraudulent reviews and keep review quality high. We do not post reviews by company employees or direct competitors. Validated reviews require the user to submit a screenshot of the product containing their user ID, in order to verify a user is an actual user of the product. Hi there! Are you looking to implement a solution like Sailfish OS?